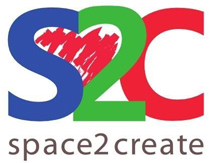 A busy week at S2C with a lot of creative activity as usual. Always good to see so many people leaving sessions looking happier and more relaxed than when they came. I am constantly reminded how powerful the act of creating together can be for individuals isolated by their illness. S2C is a stress free, accepting, inclusive and safe place for these people to come thanks to everyone there from service users to volunteers. The group were looking at the work of Joan Miro and the style of very random and mixed lines. The group started with a quick “Automatic Drawing” image looking to vary their lines with opposites – soft/hard, fast/slow, jagged/smooth etc. They then selected shapes created with this to create a new work in the style of Miro. On the sign language course today we looked at expressing emotions. We then pared up attempting to use what we have learned so far to hold question and answer sessions. We are all starting to form sentenees to hold simple conversations. The group continued to create images inspired by the work of Sonia Delaunay. She used circles in her pictures and the group looked at drawing circles freehand. We used pastels to create images of overlapping circles and broken lines in her style. The results were very colourful and effective.